Festival Ballet Providence’s season finale of their popular Up Close On Hope is an evening of remarkably vivid storytelling. With heavy doses of gut-wrenching drama, this program is not for the faint of heart, for indeed when the final piece reaches its tragic conclusion, gasps are heard throughout FBP’s intimate Black Box Theatre followed by stunned silence when the lights are raised. While past productions feature nearly a dozen vignettes with a mix of contemporary and classical dance — some fun, some serious — the current offering presents only two pieces, both world premieres, with each running a little over 30 minutes. The program opens with frequent UCOH contributor Gianni Di Marco’s “Lady of the Camellias,” the emotionally charged story of Marguerite Gautier, a French courtesan and socialite who begins an illicit affair with a wealthy young man, Armand Duval. But, shortly after ending their affair at the insistence of Duval’s father, she succumbs to an illness, begging the question of whether or not a broken heart accelerated her demise. Displaying Di Marco’s romantic flair, the piece unfolds like a series of colorful slides quickly moving from one scene to the next with the women in spring-like purplish gowns and the men in tights, dress shirts and vests. The choreography smartly and economically lays out the story, intensifying its dramatic impact: A simple cough and a hand to the stomach informs the audience that Marguerite is not well. Jennifer Ricci delivers a stirring performance as the heartbroken socialite; she is one with the rare ability to tell an entire story via her facial expressions. I also could not help but consider the metaphorical implications of this story and Ricci’s dancing career. She has been a member of FBP for nearly three decades, but over the last couple of seasons she has been limited due to injuries. So while we all cherish her moments on stage, we can only wonder how much longer can she continue. Courting two suitors at once, Duval and Baron de Varville, Ricci has a way of making partnering look fun and easy. Mindaugas Bauzys (Duval) and David DuBois (Varville) take turns gently handing her off to one another. Later, Ricci and Bauzys meet for a remarkably tender pas de deux highlighted by delicious promenades and effortless overhead lifts. As Flora, Marguerite’s friend, young dancer Eugenia Zinovieva continues to impress, dancing a charming duet and holding her own alongside the veteran Ricci. Alex Lantz (Armand’s father) also has some fine moments highlighted by in incredibly cold pas de deux where he throws Ricci aside and tosses money at her. But it is Ricci’s efforts both physically and emotionally that propel this piece. The final duet between her and Bauzys is heartbreaking with his lifting her limp body, desperately trying to give it life. Yet Ricci keeps turning the screws, with each lift and turn, her body becomes more and more lifeless until the final moment when she falls to the floor and Bauzys can only watch as her hand slips from his. After intermission, the program turns dark with Plotnikov’s visually stunning The House of Bernarda Alba. Utilizing his familiar but unconventional style, the piece further breaks from tradition with some brief dialogue. Composer Sonya Belousova’s original score adds to the drama, giving it an eerie and haunting quality. Bassed on Federico Garcia Lorca’s stage-play, Djuric claims “many choreographers in Europe take on the challenge of telling this gripping story as a ballet. In fact, I think it is more powerful as a ballet than a stage play.” Based on Plotnikov’s latest creation, it may be difficult to find fault in his conclusion. The story depicts a domineering mother who, after the death of her second husband, orders an eight-year mourning period for her five daughters, isolating them from the outside world. Her relentless control over them descends into an explosion of tension, violence and sexual rage when two of her daughters become attracted to the same man, Pepe, whom they observe from a window in their home. With a large screen covering half the stage, the production, in effect, becomes two stories being told simultaneously. Pre-recorded images of the dancers are projected onto the screen telling one story, while they dance in front of the screen, sometimes telling a separate story, other times reacting to what appears on the screen. In person, the dancers wear black, ankle-length dresses with their faces painted white, suggesting an anonymity or lack of self. On the screen, their faces are not painted, suggesting a more concrete reality, an interesting dichotomy when contemplating that much of the tragedy occurs on the screen, not presented live by the dancers. The choreography itself assumes a militant and regimented quality, enhanced by the dancers all wearing the same dark clothing. But it also features Plotnikov’s trademark frantic hand, arm and head movements, suggesting a sense of desperation and a yearning to be free. When one of the sisters defies her mother’s orders, putting on a green dress and attempting to run to her male lover, she is beaten down by her sisters. As the overbearing matriarch, Marisa Gomer makes for a striking presence. The piece opens with her physically restraining her five daughters, pressing down on their heads while they lay stacked atop one another. The image of her continually projected onto the screen shaking her fist in a threatening manner serves as a chilling reminder of her dominance. Zinovieva and Jaime DeRocker deliver powerful performances as the two daughters competing for Pepe’s (Alex Lantz) affection. Lantz and Zinovieva also dance a wonderfully provocative pas de deux with her cleverly climbing into his shirt. Plotnikov’s House will leave audiences stunned, mesmerized and, perhaps, a bit disturbed. But it is another visual masterpiece from the choreographer’s gifted but somewhat twisted mind, a must-see! FBP’s final installment of Up Close On Hope runs through March 13. 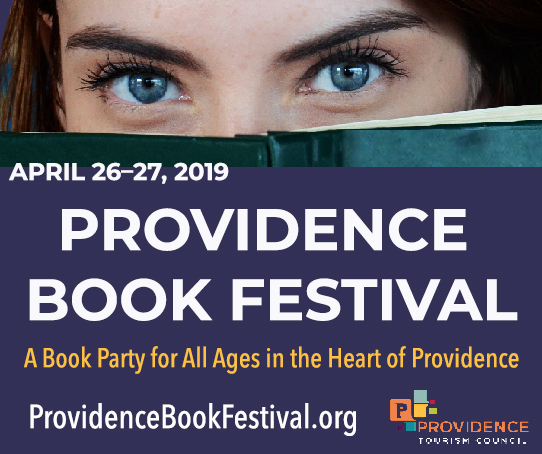 For tickets or additional information, visit festivalballetprovidence.org. Previous post: Frank Underwood vs Donald Trump: Who’s More Evil?